Karren Brady – Baroness Brady of Knightsbridge CBE is one of the UK’s most high-profile businesswomen. Together with her natural wit, honest and down-to-earth approach, witnessed by millions through her starring role on The Apprentice, has made her one of the world’s most sought-after motivational business speakers. Baroness Brady is Vice-Chairman of West Ham United FC. Born in Edmonton, North London, Karren started a career in advertising sales straight after leaving school. Initially, starting at Saatchi & Saatchi, she swiftly moved onto LBC as a sales executive before joining David Sullivan’s Sport Newspapers Ltd, becoming a Director within a year. In 1993, aged just 23, she was appointed MD of Birmingham City FC – when the club was in administration. Four years later, she became the youngest managing director of a UK plc, when she floated the club on the London Stock Exchange. Having turned Birmingham City FC around, Karren successfully negotiated the club’s sale in 2009 for £82 million. In 2010, Baroness Brady was appointed Vice-Chairman of West Ham United FC and led a successful bid for the club’s move to the iconic 54,000-seat Olympic Stadium in London. Under her leadership, West Ham has become one of the five fastest-growing brands in world football. Karren’s wealth of experience and passion for supporting entrepreneurs and business led to her appointment as the government’s Small Business Ambassador by the Prime Minister in 2013. Furthermore, in December 2013, Karren was awarded the CBE for services to Women in Business and Entrepreneurship. She was later elevated to the House of Lords by the Prime Minister, taking the title Baroness Karren Brady of Knightsbridge. Baroness Brady is a former UK government Small Business Ambassador. To date, Karren has written five books; these include novels and business titles. Karren’s most recent title ‘Strong Woman‘ traces her incredible rise from selling ad space to running a Premier League football club, and how she balances her professional life with the demands of being a mother of two. Karren is a columnist for The Sun newspaper; the UK’s biggest selling national daily newspaper. She is also a columnist for Women & Home. Karren has attracted much media attention throughout her career and was the subject of a BBC1 documentary ‘Inside Story’ – The Real Life Manageress’. She also regularly appears on prime-time shows such as The Jonathan Ross Show and Piers Morgan’s Life Stories. Following appearances as one of Lord Alan Sugar’s interrogators on the ‘The Apprentice’, in 2010 Karren replaced Margaret Mountford as Lord Sugar’s right-hand woman. 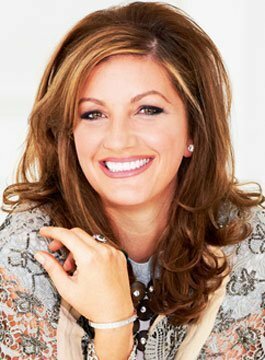 Passionate and straight-talking, Karren Brady has become one of the business world’s most in-demand motivational and after-dinner speakers. Karren gives a compelling account of her unstoppable success, with plenty of insights, advice and anecdotes gained from her colourful career in football, publishing and business leadership.